Where’s the beef? It’s in Seminole Pride | Seminole Tribe of Florida, Inc. There has been a lot of movement behind the scenes here at Seminole Tribe, Inc. that we have been talking a lot about, as we have been going through the process of asking questions, making decisions and forming our commitment to various projects. There are press releases going out, that are being tweaked right now. So many exciting projects we can’t fit them all in this one column. But I think one thing that everyone will gravitate toward is what we are doing with our beef. It has always been a mainstay of the Seminoles throughout our entire Tribal history. Beef has played a significant economic and social role, maintaining our government and way of life when we had nothing else. And it is continuing to do well. This year we had a great calf crop, through the hard work of Alex Johns and our Seminole cowboys. The big news is we are actually building a feed lot. It’s been tried many times in Florida by others with the same dream and always failed. Usually cattle in hot, sweaty Florida do not eat enough and cannot gain any weight, so they are shipped out to Texas to get fat. We are building a feed lot where independent Tribal cattle owners can finish their own cattle here on the Brighton Reservation, bypassing the lesser income of shipping them out of state. They will also be harvested in Florida at a company we are partnering with, Central Beef Industries LLC, in Center Hill, and the meat will be sold here in Florida. The animal spends its whole life in Florida. A great story – one that we will be telling, along with our Tribal history, in all our marketing. We have a brand – Seminole Pride – and the moniker Florida Native. This will be hormone-free, antibiotic-free, Seminole Pride choice beef. We received our government certifications to go to market just last month. We are certified to go select, choice, prime. We partnered with Cheney Brothers as our distributor and did a major food show with them June 25 at the Greater Fort Lauderdale/Broward County Convention Center. We were featured at the show and there was a lot of interest, especially from local and national chain restaurants. Sales are already starting to come in. National chains are very interested with large requirements: 40 cases a week. We have to be sure we can deliver. That is a major amount. But we can do it. We are No. 2 in the state (behind the Mormon Church) with total live head of cattle. We will have the only feed lot in the state. Nobody else is doing cattle this way. We are the first ones to do vertical integration all the way to the consumer. We have a great partnership with Cheney Brothers – they have committed to the program. We are also bringing to fruition our website, www.SemBeef.com, where you can access the product and other info. We have always raised cattle, then sold our calves at the market and took what the market would bear. Now we have mounted a concentrated effort to go with a consistent program to the market. Before we had a market that was all over the place, lacking the predictability that we have now. We are doing a much better job than what was done with the catfish farm, for example. We made the investment, but we did not realize the level of commitment (financial investment, logistic capability) that we needed to make to satisfy that buyer. We attempted to enter that market but did not understand the total commitment required and when we were able to get into the stores for a short amount of time, we did not last because we could not meet their expectations. We are trying to learn from the past in order to make sure we are more successful this time around with the beef. We know the beef industry but in order for us to be more successful we need more vertical integration to better position ourselves. Look, we aren’t trying to feed the entire world here. We are trying to feed one community at a time, i.e. the local market. You know what? I think if we could supply a number of major outlets here in Florida, we’d be tickled pink. All independent cattle owners will have the opportunity to diversify their operations and not rely solely on the calf crop as their whole means of income. We are exploring ways to increase the amount of revenue that the independent could enjoy personally. If cattle owners choose to use the feed lot program, they will have an opportunity to make more money. The feed lot is half done. It should be finished in a couple months. We have decided against continuing what we have always done. We know the business. So now it is all about making the move to control our destiny right here in Florida. With consistency and commitment, there is huge potential. The Tribal members will start to see these things very soon. Soon you can walk into a restaurant and ask for Seminole beef! As I have been saying in this column, nothing happens overnight. We are taking the steps to success. We are asking ourselves the important questions: Are we satisfied with where we are today? What else can we do with what we know? We are answering those questions and making the commitments. And we will deliver. 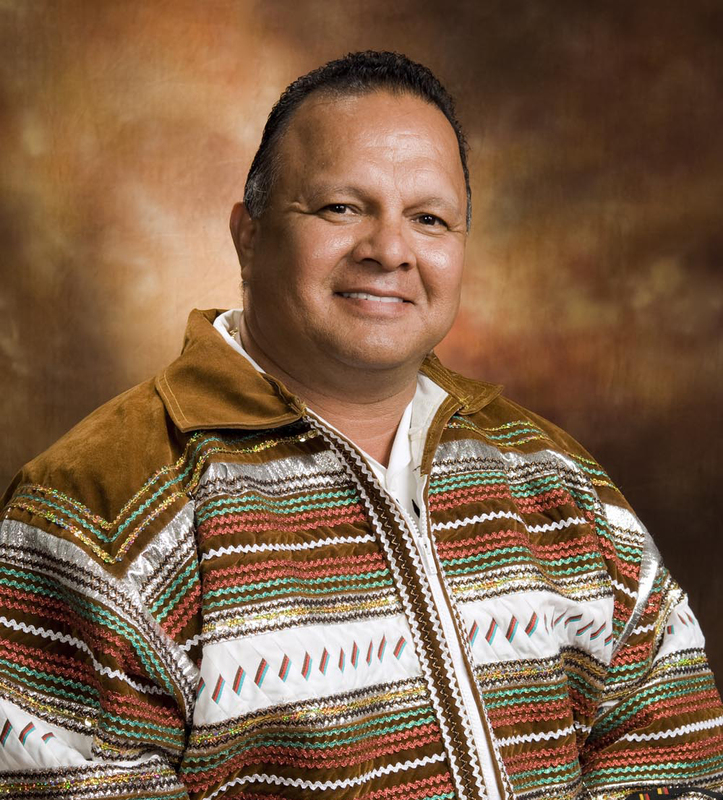 Tony Sanchez Jr. is President of the Seminole Tribe of Florida, Inc.